This just in! Sand dunes are cruising on Mars! Fact: The surface of Mars shows massive erosion and huge fields of sand dunes. Problem: Mars hasn’t had liquid water for more than a billion years. High winds are rare and its atmosphere is thin. Is the erosion due to ancient water or modern wind? Solution: The sand dunes are blowing in the wind, moving much like dunes on Earth. 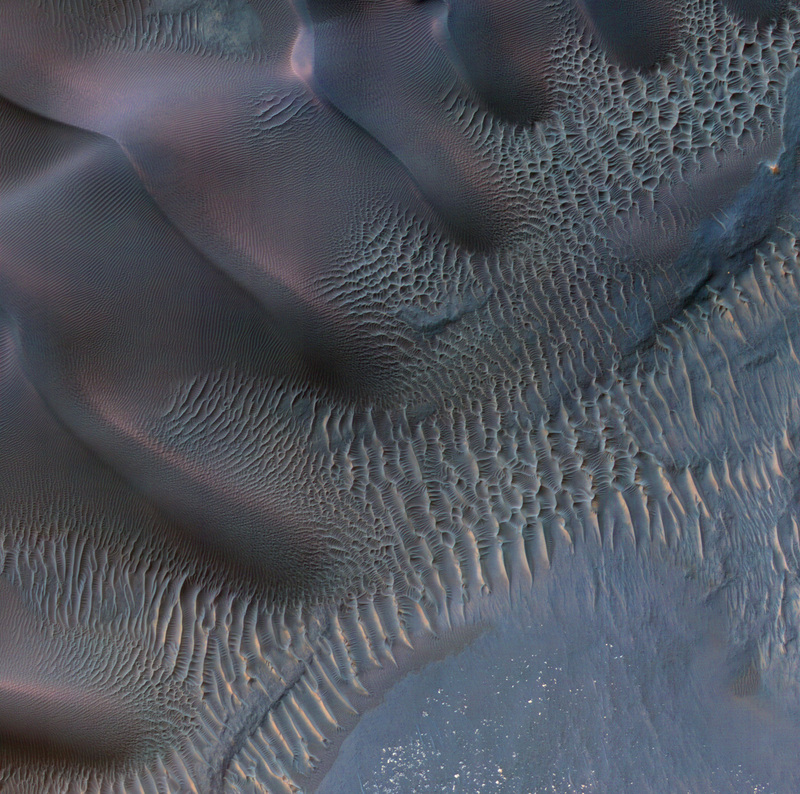 The Nili Patera dune field on Mars, where the wind blows from the right. 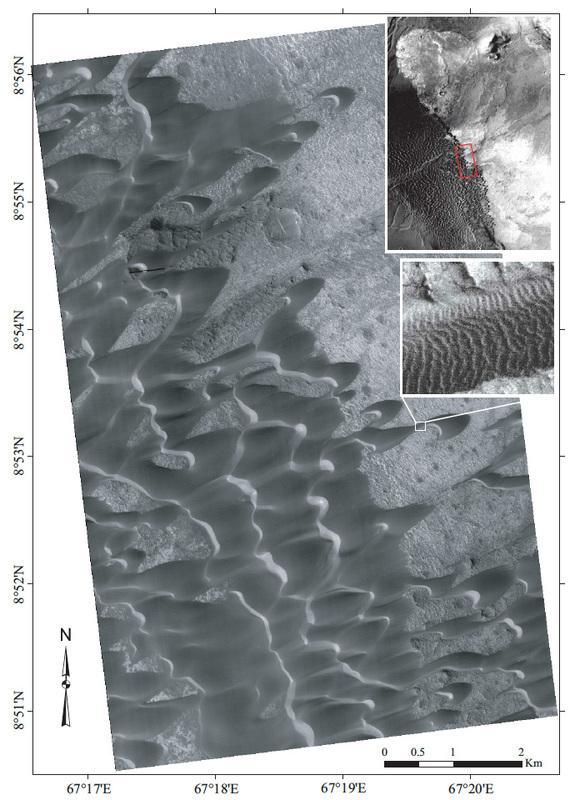 Red box at upper right locates this area; lower inset shows a close-up of a dune’s rippled surface. 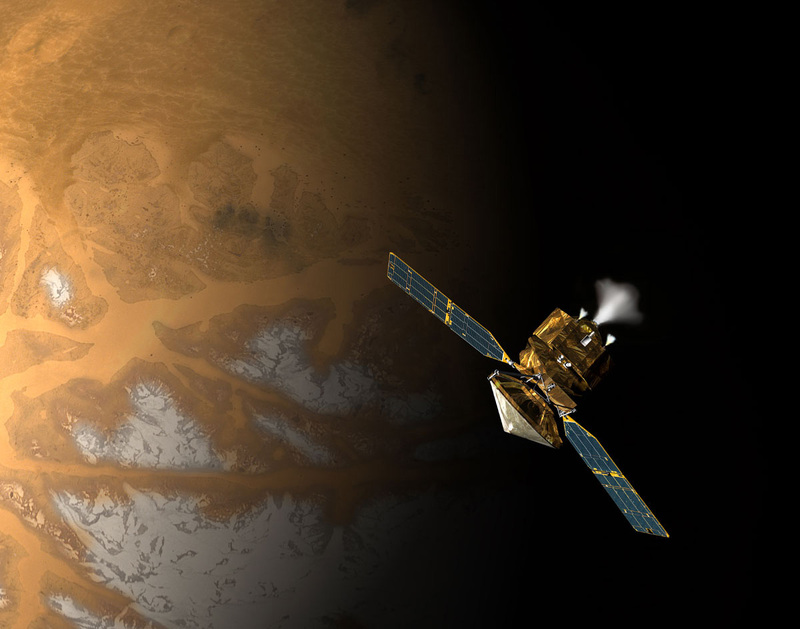 In a study posted online May 9, Nathan Bridges and colleagues analyzed data from an eye-in-the-sky called Mars Reconnaissance Orbiter. Using a high-resolution telescope, the researchers measured the movement of sand dunes over a 105-day span. 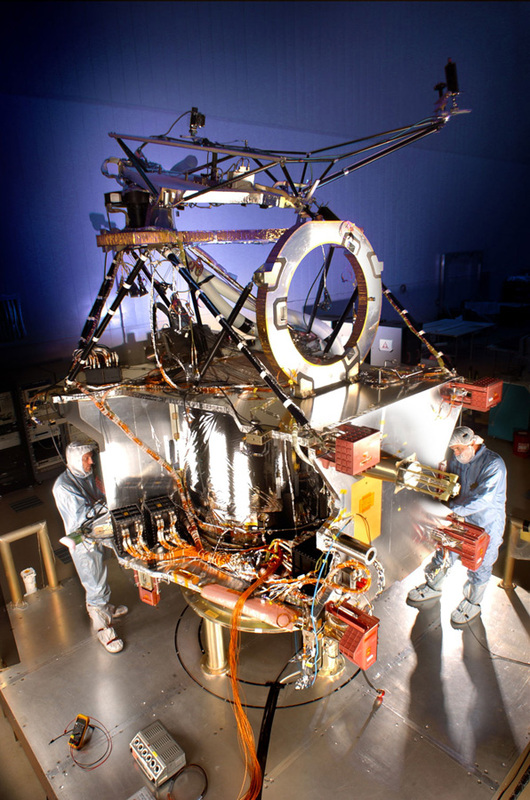 Technicians assemble and test NASA’s Mars Reconnaissance Orbiter spacecraft bus in a cleanroom. The research group saw movement both in entire dunes, and in the ripples on their surface. Across one meter of dune front, they calculated an annual sand movement totaling about 2.3 cubic meters. “If you had a children’s sandbox, that would fill it with sand in a year,” Bridges says. Antarctic Photo Library, U.S. Antarctic Program/Kristan Hutchison, NSF. 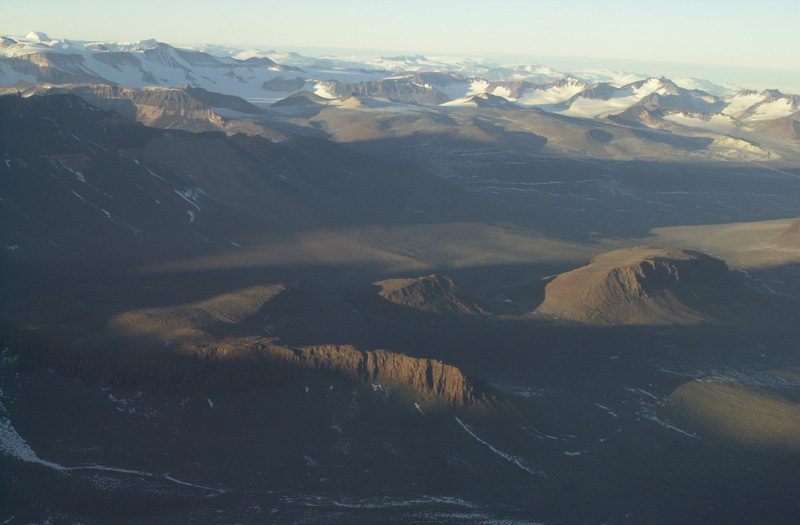 McKelvey Valley is one of Antarctica’s dry valleys. Although most of Antarctica is covered with up to 5 kilometers of ice, these mountain valleys have been mostly free of ice and snow for 8 million years. Nearby Victoria Valley had sand movement that was comparable to what was just measured on Mars. Such winds do blow — rarely — on Mars, but once the sand starts moving, it’s easier to keep it rolling, he says. “Recent research by my colleagues has found … a lower-speed wind can sustain the movement.” Under the reduced gravity of Mars, a grain stays aloft longer, giving the wind more time to accelerate it. When the high-speed grain hits the sand bed, a high-energy collision impels more sand grains into motion. An enhanced-color image of dunes and sand ripples of various shapes and sizes in Noachis Terra Region of Mars. The area measures about 1 kilometer across. Wind does not just move sand — it also creates sand, Bridges says. His group calculated that the natural Martian sandblaster sand would erode 1 to 50 microns off rock per year, about the same rate as in Victoria Valley. That sandblasting would provide a source of the sand that litters so much of the red planet, Bridges says. “Erosion is occurring today, so wherever you have sand, and moderate winds, you are likely to get significant amount of erosion from rocks.” That could then create silt or more sand. What we did on our summer vacation: Visit Mars! NASA to Earth Science: Take the Back Seat!